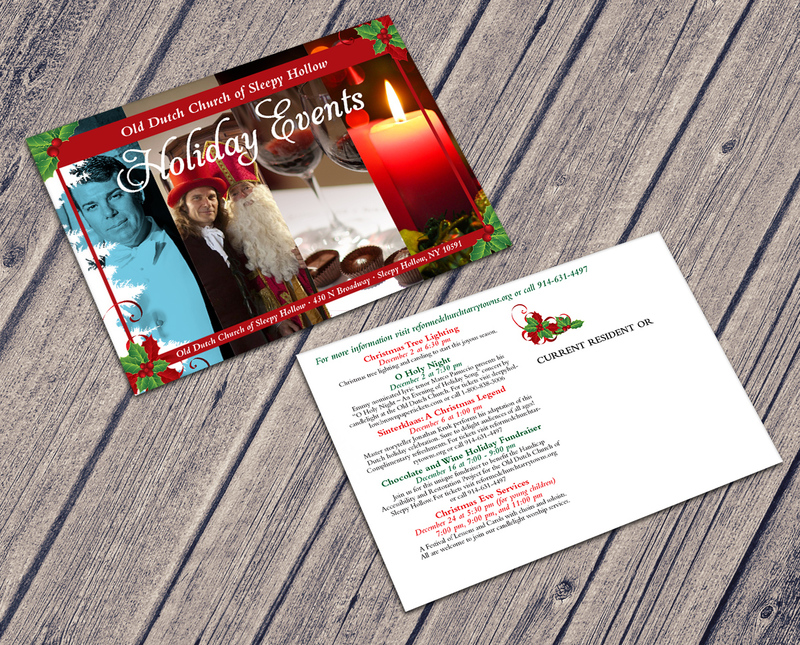 Event advertising for the Old Dutch Church in Tarrytown for their holiday events. Featured here is a large ten foot banner, postcard design, and color ad design. Additional flyers and banners were also part of this campaign utilizing similar design layouts at various sizes.